Cromarty East Church is the scene of much restoration work funded by many bodies including Historic Scotland, reflecting the historic significance of the this structure. 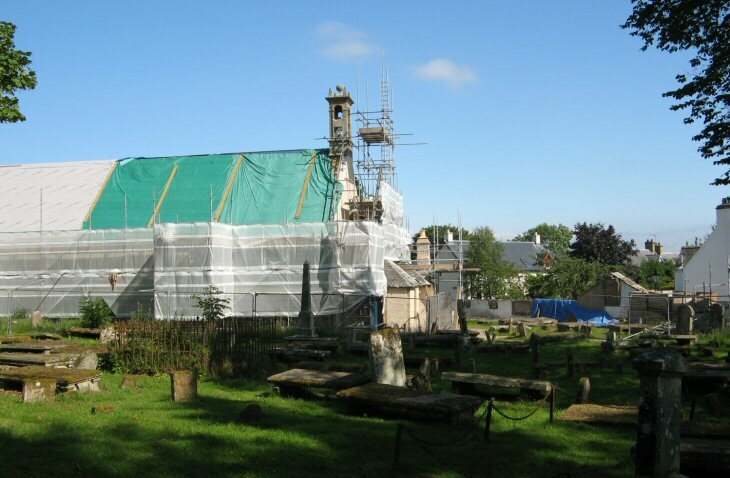 As at the end of 2010, the church building has been fully restored and the exterior repaired and uncovered. Some work remains to be completed but by Spring 2011 everything should be done. It looks superb. There are two other burial locations in this small town. Around the derelict Gaelic Church off The Paye are 3 adjoining burial grounds. The other site is St Regulus, beautifully placed as if in a wood. [Not to be confused with Cromarty Gaelic East].